In 1989, the Lubbock’s moved the entire collection to Scotland Neck, North Carolina, in the northeast corner of the state. Sylvan Heights Waterfowl II, now called the Sylvan Heights Avian Breeding Center, was established, and has continued to grow into the largest collection of exotic and rare waterfowl in the world. The facility now houses more than 3,000 birds representing 140 species, and plays a key role in maintaining the captive populations of several endangered waterfowl species. 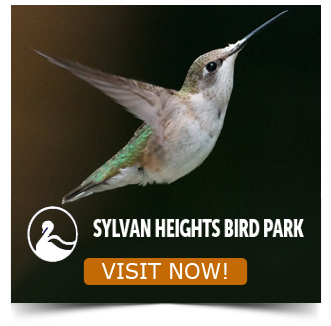 Sylvan Heights Bird Park seeks to advance conservation of waterfowl and wetlands, to act as a local educational resource for avian biology and wetlands ecology, and to serve as an international center for agricultural training and research. The Town of Scotland Neck is updating its economic development strategic plan with support from ElectriCities of N.C., Inc. Creative Economic Development Consulting is facilitating the update to the strategic plan. They designed a survey to capture your input into a SWOT (strengths, weaknesses, opportunities, and threats) Analysis and your opinions for the Town of Scotland Neck Economic Development Strategic Plan. The information you provide will remain confidential and will be compiled with all survey responses. We appreciate your participation. Input from stakeholders like you will make the strategic planning process a success.